These shoulder hams are the result of an on-going quality-improvement project over the past 20 years, in collaboration with Iberian pig farmers, under the control and supervision of Estirpe Negra, as well as several animal nutrition companies. This project is aimed at improving the quality and bouquet of these shoulder hams, by using a special diet based on cereals and other natural ingredients. 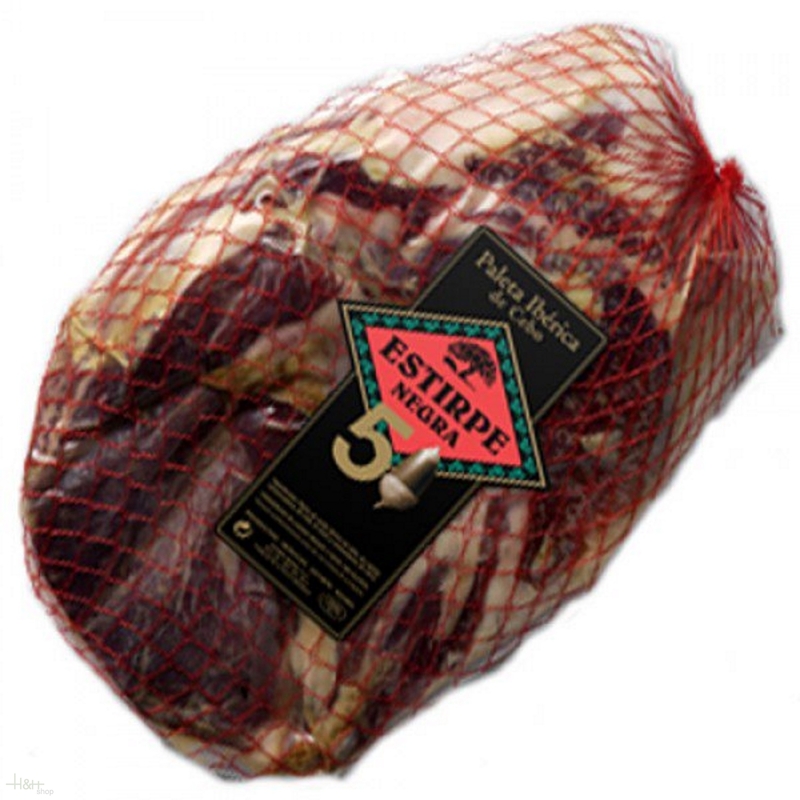 This results in the Iberian Shoulders '5B' having a more fluid and healthy fat, which is streaked throughout the meat, a better aroma with a smooth intense flavour, a fine texture, and at the same time, being low in salt. Presentation: Vacuum-packed boned shoulder ham.